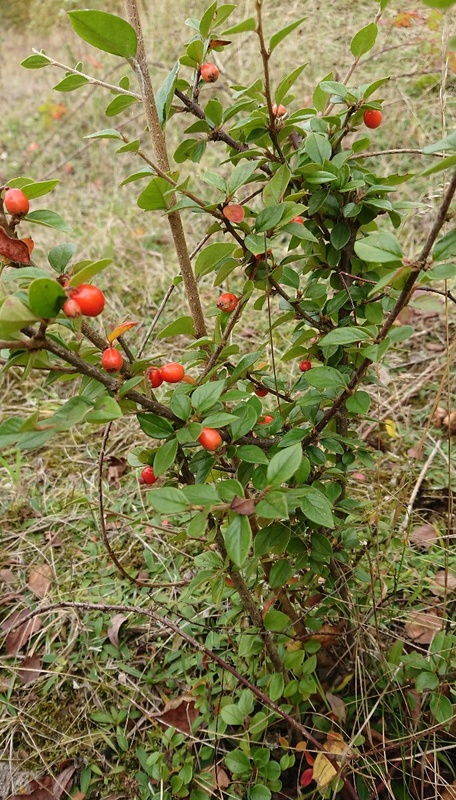 Himalayan Cotoneaster is a large, upright shrub with small, glossy oval or elliptic leaves and white flowers, followed by rather large, bright scarlet berries in autumn. As with most cotoneasters detailed examination is needed for a safe id. Usually in parks and gardens or as an escape from cultivation. In flower during May, June and July. Occasional but widespread, especially in the north and west of Britain. Rare or rarely recorded in Leicestershire and Rutland. It was not recorded in the 1979 Flora survey of Leicestershire.